It doesn’t take much to put your vehicle out of alignment. Small things like hitting a pothole or a curb can throw your wheel alignment off. It doesn’t have to be a big impact, it can just be the regular bumps and bangs of daily driving that add up and eventually take your vehicle out of alignment. 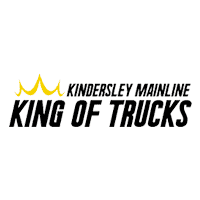 The Certified Services Experts at Kindersley Mainline ensure that your vehicle is properly aligned, offering wheel alignment service and more. Correct wheel alignment helps to keep your vehicle’s tire tread wear even and help to keep its steering precise.